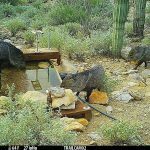 I did a very short trip to Arizona at the end of September in which I have posted many images from the ranch I stayed at, but how about the Desert Photo Retreat? 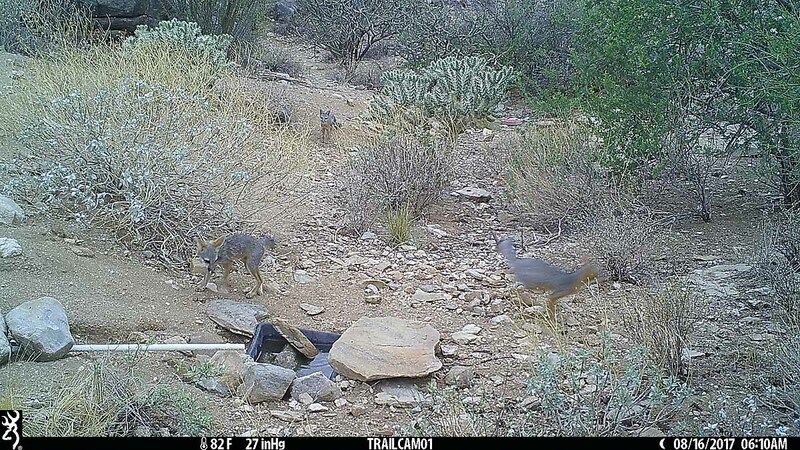 The good news, the game cams showed lots of gray fox, and javelina. 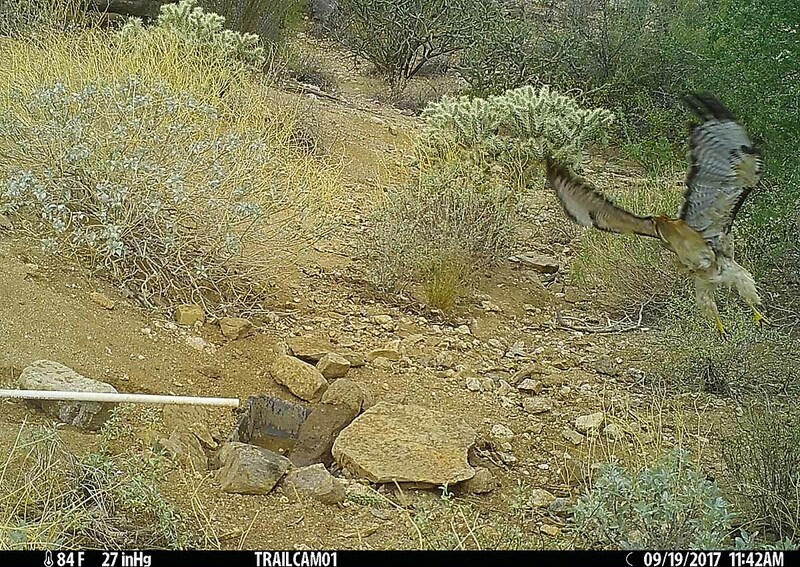 Plus, bobcat, coyote and skunk. 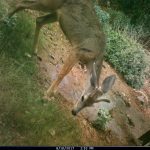 The unexpected surprise, lots of deer including a decent buck. 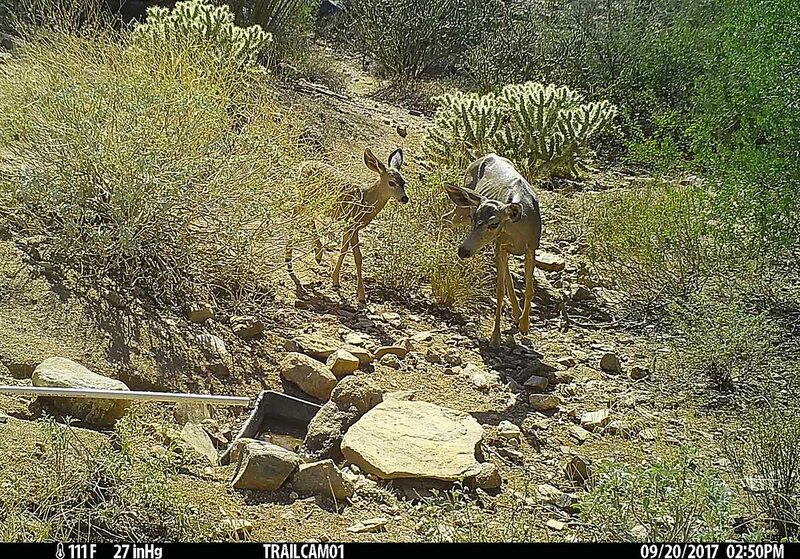 Although I have seen deer in the canyon, they have only been to our property on occasion, and never a buck. They are very skittish. 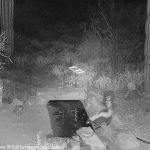 That said, there wasn’t any huge surprises like a mountain lion, which will show one day – even mountain lion researchers have told me this. 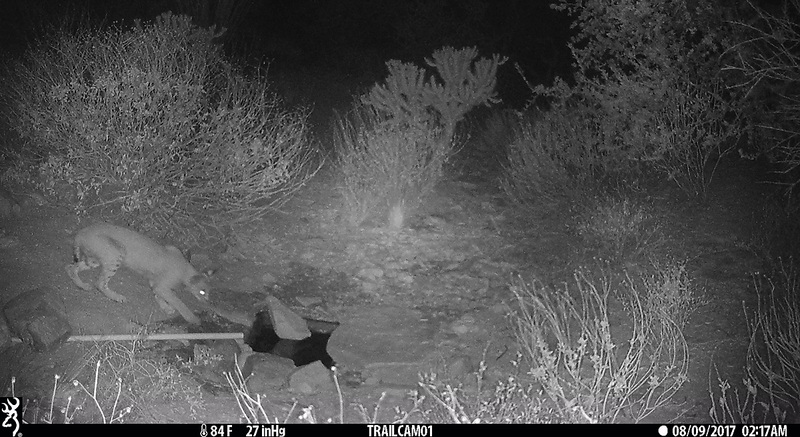 Also no ringtail or coati, two animals we have had in the past. But all and all, it was very active. 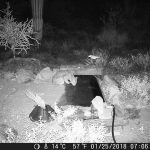 I have written about this before, but I continue to be amazed at how often different species share the waterhole at the same time. Here is a sample. 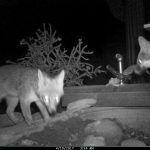 Three gray fox – gray fox came frequently every night, I think the whole family is still around. 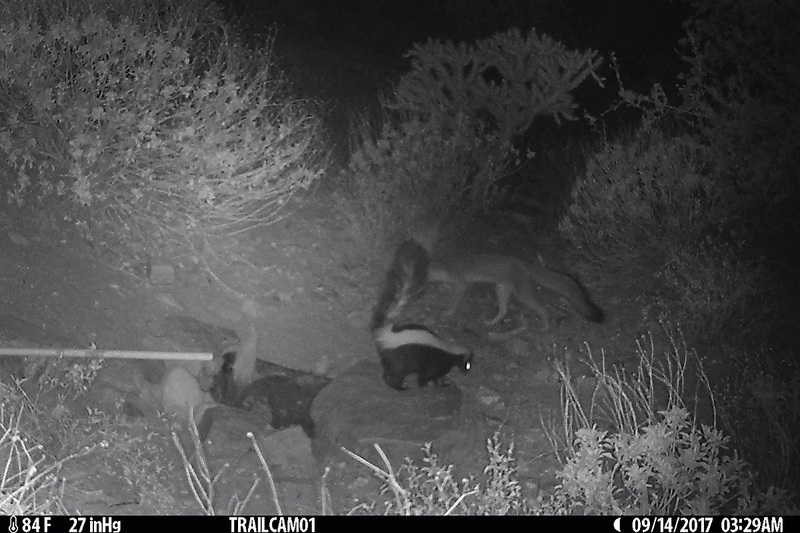 A gray fox and striped skunk pass each other very closely. 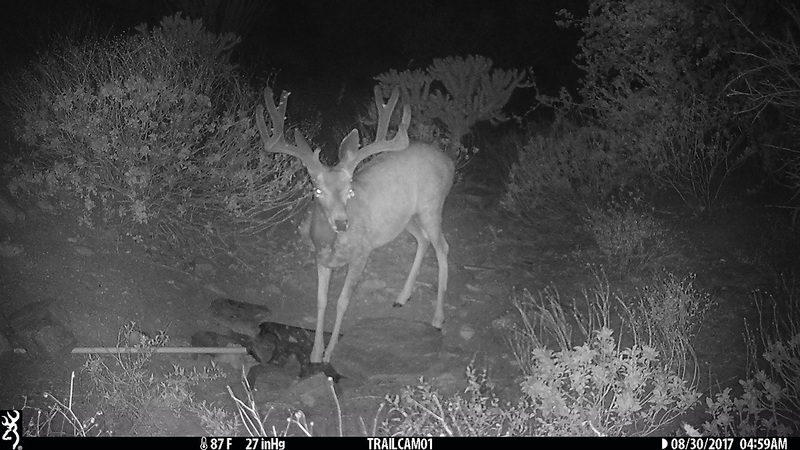 It didn’t always show well in the game cam, but it wasn’t uncommon for them to drink at the same time. 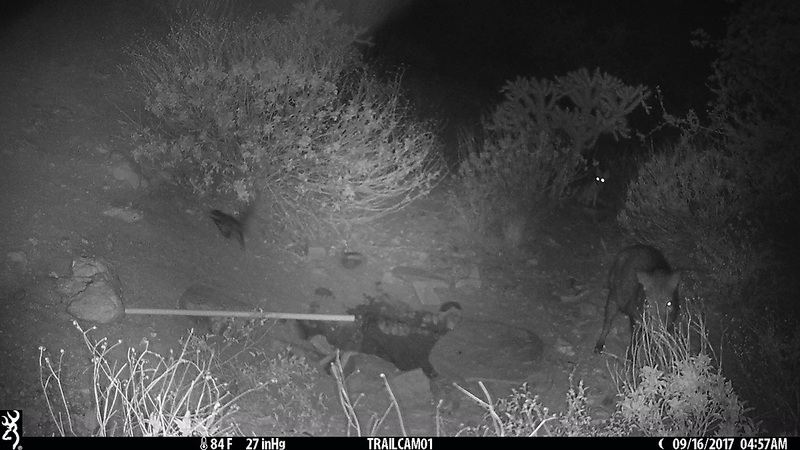 A gray fox, javelina and very small, baby skunk. 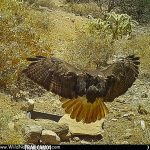 Retailed hawk flying in – gives me ideas for my camera trigger this winter.